The Draper Clarion 70 x 70" Fixed Frame Manual Projection Screen produces a viewing surface that is perfectly flat. And, if the screen surface is flat, your picture will be undistorted and clear. The Clarion's viewing surface is stretched tightly over a self-concealing aluminum frame that also forms an attractive border for a clean, theater-like appearance. The corners of the screen are mitered for a stylish and more professional appearance. It also provides for a stronger and easier to assemble frame. 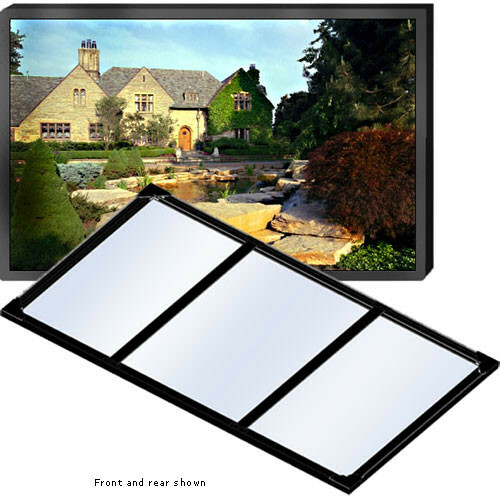 This is a simple and reliable wall mounted screen that is an excellent choice for corporate or educational needs. Draper quality assures you of a reliable screen. The Clarion will give you many years of even illumination, edge-to-edge brightness and sharpness. Box Dimensions (LxWxH) 88.0 x 9.0 x 9.0"